Good content draws customers in and is the fuel that runs inbound marketing. Ebooks represent an effective technique to turn prospects into leads and customers. Ebooks are simply books in an electronic format. They can use a variety of formats like PDF, Epub, Mobi, Kindle, Flash or just plain HTML. They can be read on any number of devices including desktops, laptops, phones, tablets, and e-readers. Because they exist in electronic form, they don’t incur any printing costs and once written can be distributed at little to no cost. Most Ebooks put out by businesses are in PDF format. This format is easily readable on different devices and is easily created from Microsoft Word documents. In fact, it’s been standard in Microsoft Word since 2010. PDF readers are built into web browsers and most people instantly know how to consume PDF documents. Other formats can be utilized, depending on marketing goals. For example, some businesses may benefit from making their books available on the Kindle store. Ebooks can be created from existing resources, such as blog posts, or can be created from scratch. Ebooks can be about any topic and are best used as a source of help. The goal of eBooks is to generate leads while establishing a connection and providing helpful information for your target audience. Why Should Every Business Have Ebooks? Ebooks are great for generating business leads. They appeal to people towards the beginning of buyer's journey, those just looking for information who aren't necessarily ready to buy. For example, say someone is searching for information on a topic and comes across your website. 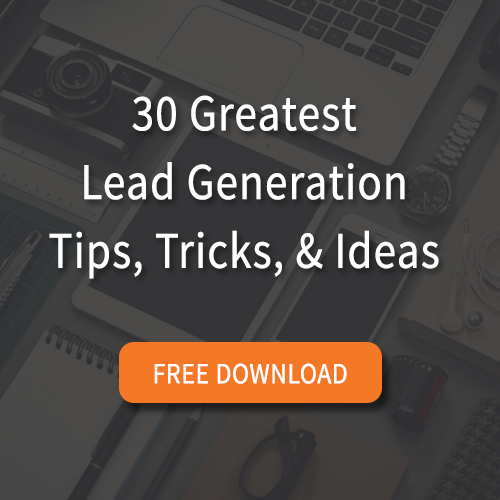 You so happen to offer a free eBook filled with valuable information about that topic and all they need to do is provide their email for the download link. This prospect is more than likely going to fill out the form and download the eBook to gain access to more information about the topic. At this point, your business now has the email address, and possibly even the telephone number (if you collected it from the form) of someone who has already expressed interest in your content. This now gives you a lead in which you can help nurture throughout the buyer's journey with more helpful content and follow ups and potentially close into a sale later down the road. If your company is doing inbound marketing, you likely already have a blog and an email list. You might also have white papers and case studies available to potential customers on your website. Ebooks are an important complement to these existing strategies. They provide appropriate content to help market the business and can build on the information provided in case studies, blog posts, and white papers. Your company could provide an eBook that acts as a guide for a certain strategy. For example, say you have an eBook that's a "Guide to Social Media Advertising". This eBook could complement a case study by showcasing results from your recent social media advertising campaigns. Not only will this allow your content to work together, but this transparency and use of real data will allow you to establish a connection and credibility with your audience. This eBook could then further complement your existing strategies by being featured in existing and new blog posts, social posts, email campaigns and more. Ebooks can be used for more than just lead generation. They can be a great way to ongoingly stay top of mind with current leads and customers. Essentialy, you are giving away tips and tricks to enable your target audience to be as successful as they can be. This can help you build relationships with your customers while showing you have their best interest in mind. Nothing helps credibility quite like writing a book about a subject. Going through the process of writing a book involves a lot of knowledge, learning, and experience with the topic. This learning translates into further subject expertise. People understand this process. By writing an eBook, you can portray yourself as a thought leader in the industry and substantiate your expertise. This will further build your credibility with your target audience. Write or put together every eBook with your target audiences best interest in mind. Ask yourself questions like, "Why would someone read this? How will they benefit from doing so?" This will help ensure you stay focused in your efforts and provide the most value possible with your eBook. Ebooks are a premium content offer that every business should consider implementing into their marketing strategy. They can be used to generate and nurture leads as well as establish credibility and a connection with your target audience. Ebooks can also serve as a complement to your existing marketing strategies and portray you as a thought leader in your industry.